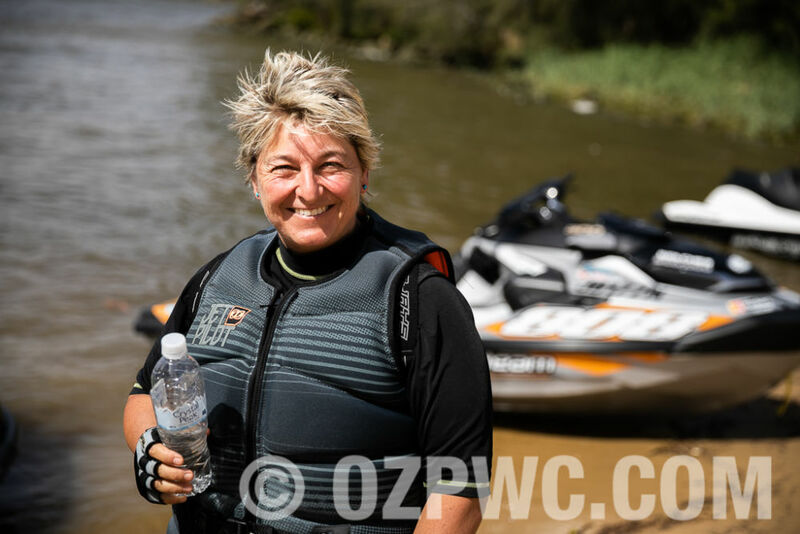 It’s been 20 years but for multiple Australian Womens Standup and Runabout Champion Jenny Harrison, its like she never left – leading from the front and winning once again in her first race back in over 2 decades! 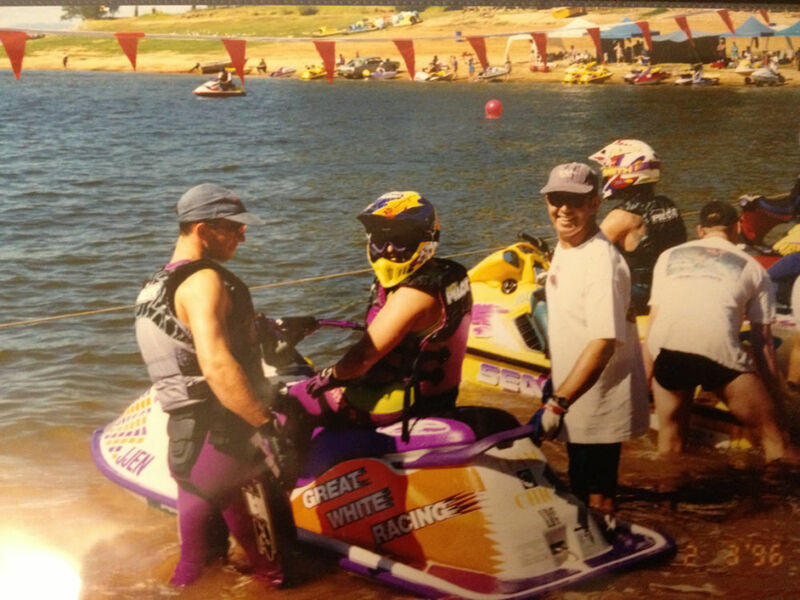 3 wins from 3 starts at round 2 of the NSW Personal Watercraft Club’s 5 round Watercross series at Chipping Norton Lakes in Sydney on a hot and blustery day on the water that was a challenge for everyone. 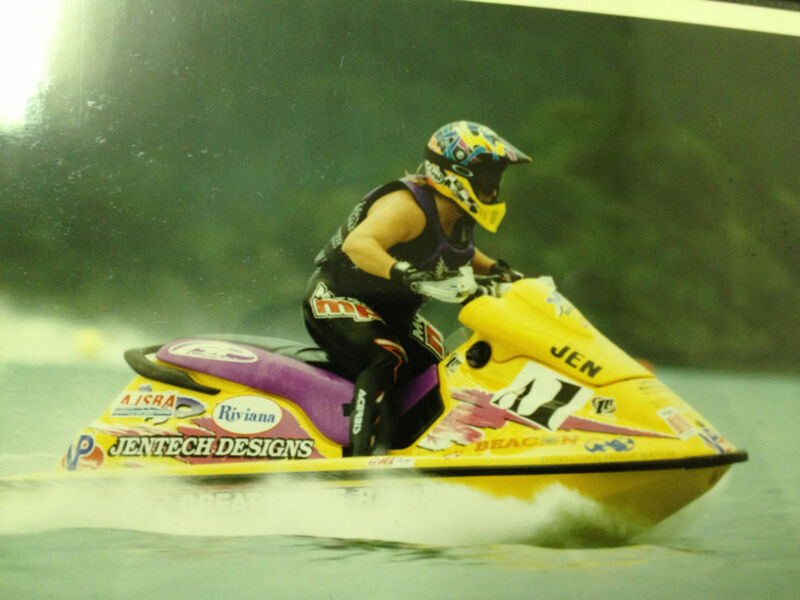 For those too young to know, Jenny’s history is incredible to say the least, starting back in ’85 and then racing in ’87 on 550 standups backed by the legendary Ray and Rhonda Goodwin (R&R Jetskis) but also jumping on the emerging sitdowns in the mid 90’s with Sea-Doo Australia and Great White Racing, Jenny was unbeatable for 10 years straight – Australian Pro Womens Champion on both standups and runabouts for a total of 45 major race wins, including 5 Australian Surf Titles not to mention 3 visits to the World Finals and 2 New Zealand Championships testament to a true champion and a record I’m sure will never be surpassed. 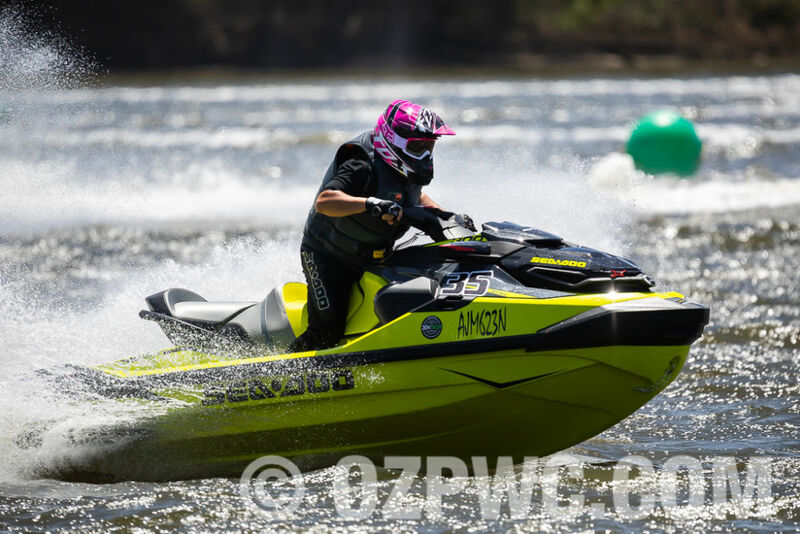 So what came to pass on Sunday 2 December 2018 at Chipping Norton was pretty historic with a new chapter emerging in an incredible career, competing once more and as quick as ever – welcome back Jenny! 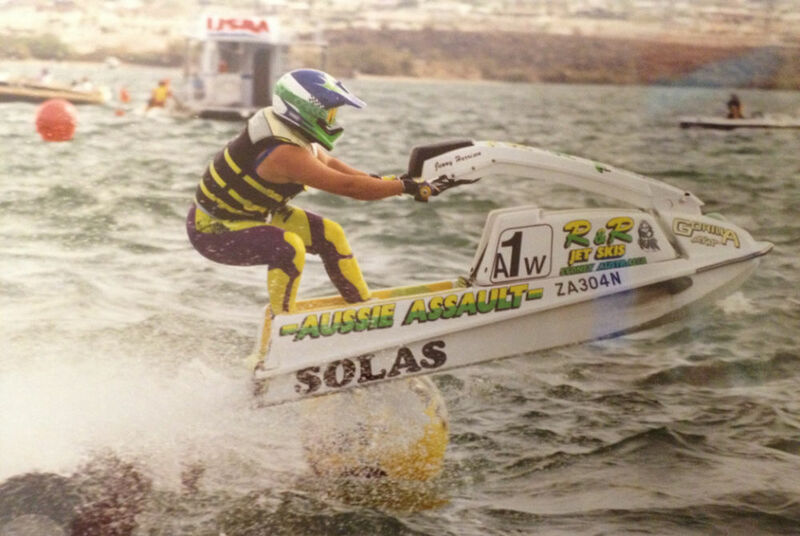 1990 World Finals Lake Havasu 9th Pro Womens Stand Up. 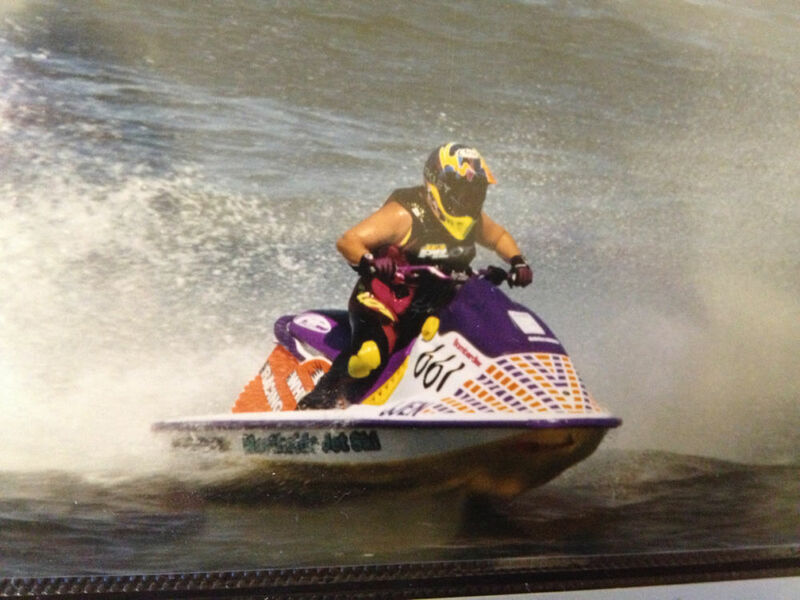 1991 World Finals Lake Havasu 6th Pro Womens Stand Up.